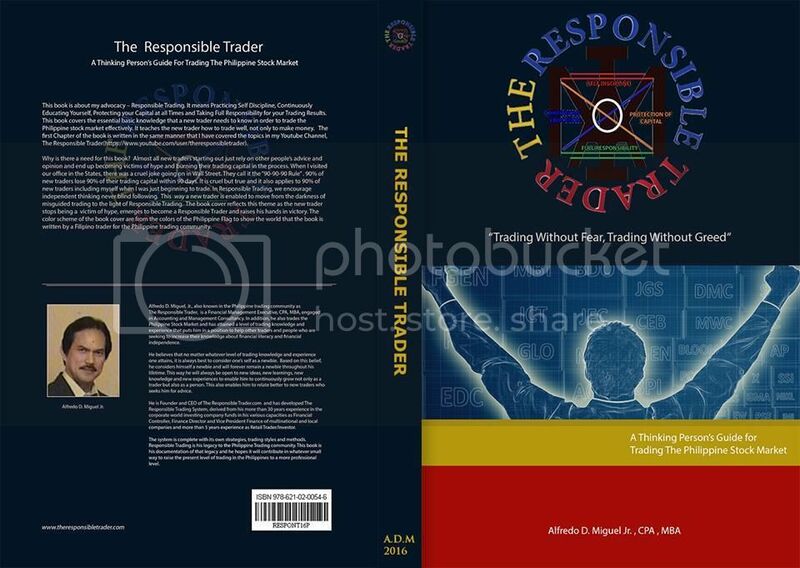 Responsible Trading Book - Reserve Now! Soon off the Press! (09-28-2014, 11:22 AM)Patski Wrote: Sir. It is still possible to make a reservation? Yes. Thank you for your interest. Please keep yourself posted on this thread. I will make my announcement soon. Good luck on all your trades. Thank you for your full support. Any update on the book? (02-22-2015, 08:34 PM)actais Wrote: Any update on the book? BTW, me updates na po ba sa book? 2. Click on the book icon appearing on the Featured Ads Column. 3. Fill up the Order Form with your complete details: Name, Address where you want the book to be delivered and your Contact Numbers. 4. After submitting the form, wait for our email for computation of courier charges and payment instructions. 1. Send email to: ninjatrader919@gmail.com Subject - DIRECT ORDER - YOUR BOOK. 2. In your email please indicate complete details: Name, Address where you want the book to be delivered and your Contact Numbers. 3. Wait for our email for computation of courier charges and payment instructions.